Tartine may rule the preserved fruit roost north of the river, but down south in the hip and trendy parts of Shinsa and Apgujeong lies some serious competition. 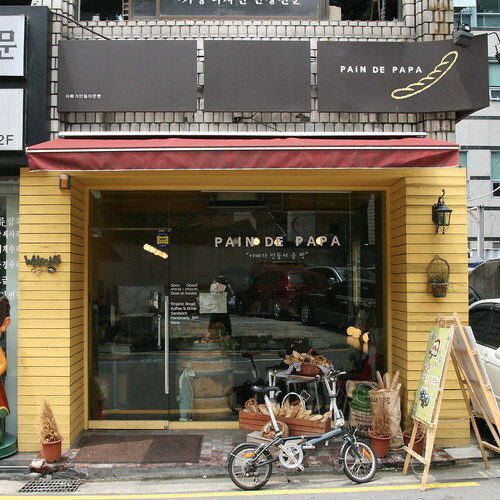 Pain de Papa is a tiny bakery cafe, but is filled with the most wonderful breads and cakes. 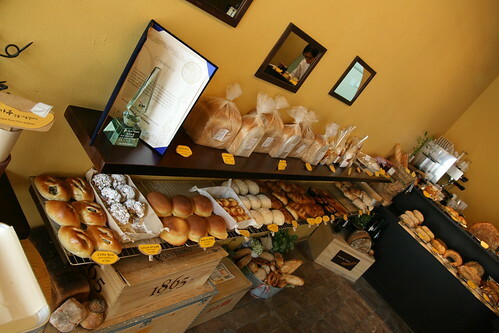 Catering for all tastes, Pain De Papa offers baked goods with a Korean touch alongside fantastic ciabattas, bagels, baguettes and rustic loaves. 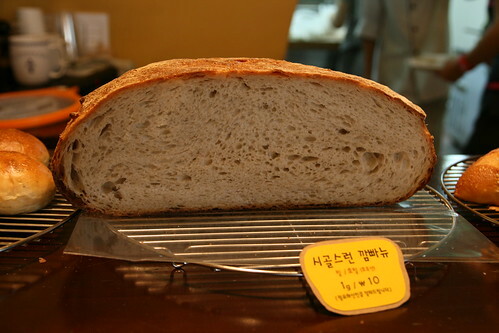 The star of the store is kept on the counter top: The 시골스런 깜빠뉴 (pain de campagne) is a monstrously beautiful loaf that is sliced to order for a mere 10 won per 1 gram. A rather robust slice set me back 2,500 won, but it was more than worth it. Pain De Papa also offers a range of homemade jams. When I went last week they had strawberry as well as Korean organic mulberry jams (mislabeled as "blueberry", they thought no-one would know "mulberry"). 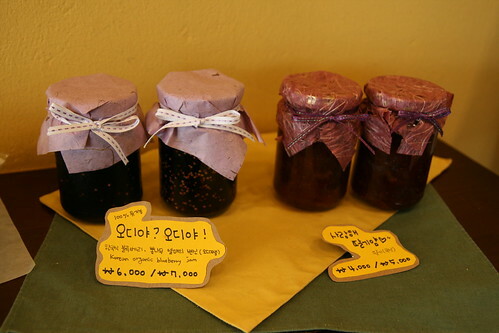 I bought myself a cute little pot of the mulberry jam for 7,000 won. 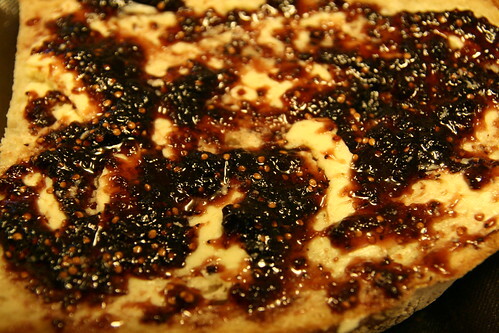 The combination of pain de campagne with a little butter and a lot of mulberry jam was heavenly. Close to raspberry jam in flavour, mulberry offers darker, richer tones of sweetness that will satisy even the most jaded of jam lovers. Pain De Papa is worth a visit, if only to pick up some of this excellent organic jam. 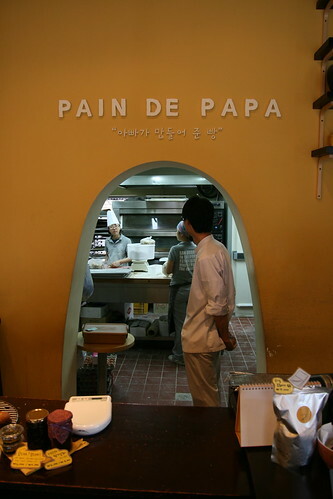 Pain De Papa lies at the 압구정 (Apgujeong) end of 가로수길 (Garosugil). To get there either head out of exit 5 of Apgujeong station or exit 8 of Shinsa station and walk down till you hit this pretty street (Recognize it by Kraze Burger at the Apgujeong end and J-tower at the Shinsa end). 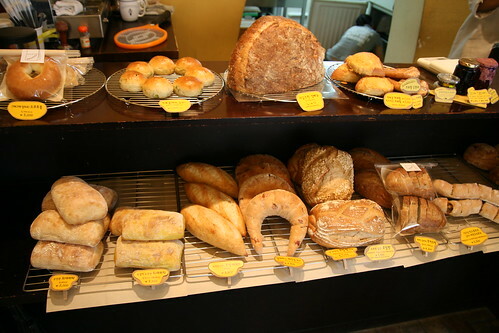 Pain De Papa is just round the corner from Gusstimo and can be contacted on 02 543 5232. For more Garosugil love, check out FatmanSeoul's article here. I just discovered this place yesterday. Will definitely have to photograph some of my purchases. I hope that it's open on Sundays.